When it comes to making your teeth look great, we at Middle Creek Dental know just what to do. Teeth whitening is the most popular cosmetic dental procedure in America because it offers great results, fast. At Middle Creek Dental, we understand how important it is to you to have a great looking smile that makes it easy to make amazing first impressions. When it comes to your overall look, your smile is undoubtedly the most important part. Think of all the times that you have seen someone with a great smile and wished for a more dazzling smile for yourself. 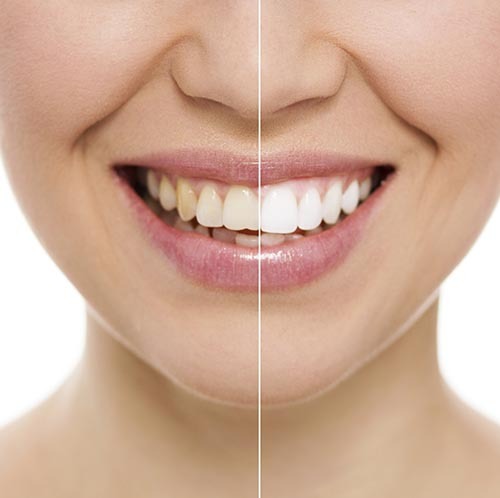 Teeth whitening allows you to quickly, easily, and cost-effectively give you teeth the makeover that they deserve. At Middle Creek Dental, we offer at-home whitening solutions to give you the ultimate level of control over your teeth. This system requires that you visit our office twice. During the first visit we will take an impression of your mouth so that we can build custom teeth whitening trays for you. These trays are made of clear plastic and are intended to hold the teeth whitening solution. At your second appointment, we will make sure that the trays fit your teeth and we will make adjustments to them as needed. We will send you home with special instructions that will detail the finer points of your whitening process. You can either wear the trays twice a day or once every night. We will determine how long you will have to wear the trays based on how deeply stained your teeth are and how many shades you would like to whiten them by. We offer a wide variety of cosmetic dental options at Middle Creek Dental. If you have issues with teeth that are cracked or chipped, not straight, too large or small, then porcelain veneers can help you to regain lost confidence. We also offer dental crowns that can restore teeth that would otherwise be unable to continue functioning as needed. Bridges can help to replace several missing teeth in a row. Cosmetic bonding offers similar benefits to porcelain veneers at a fraction of the price. Whatever your dental needs, please call us today at (208) 505-9975 to schedule an appointment.